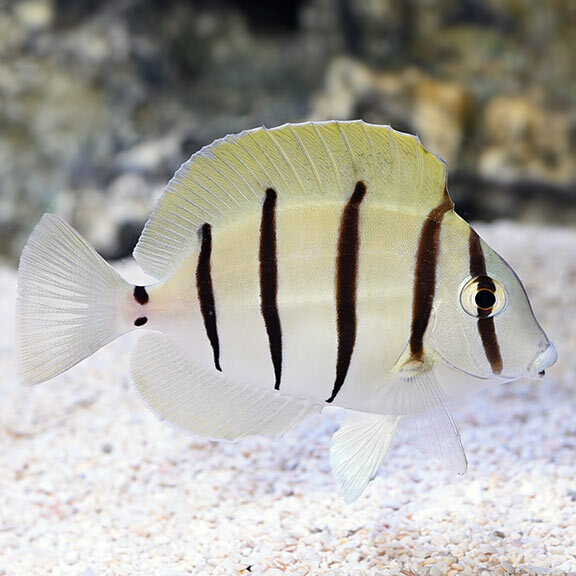 Convict Tangs have no distinguishing characteristics which will help differentiate males from females. They are very difficult to breed in the aquarium setting because the fry remain in the planktonic stage for months, and are in constant danger from filters. 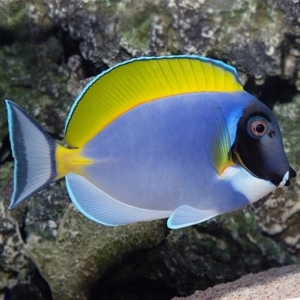 This tang is one of the more peaceful of the bunch and may get picked on by other tangs that are already in the tank. It is mainly a herbivore and feeds on meaty foods as well. It is also important to provide them plenty of marine based seaweed and algae. 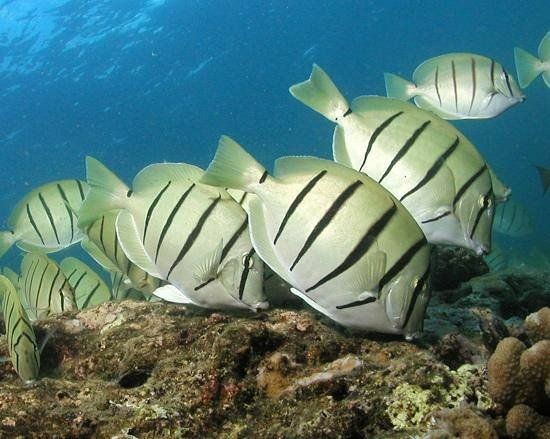 The Convict Tang is a member of the surgeonfishes and is one of the most peaceful of the available tangs. It has a stunning white to silver body highlighted by six vertical black bars. 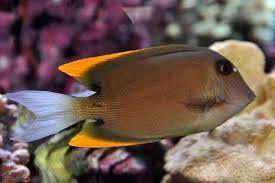 The peduncle spines are rather small compared to that of other Tangs. 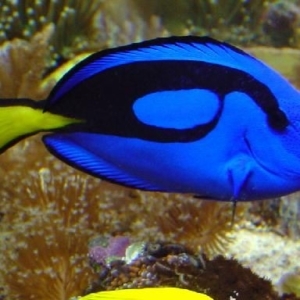 Convict Tangs will need at least a 75 gallon tank (284 liters), preferably larger, to allow for adequate swimming space. 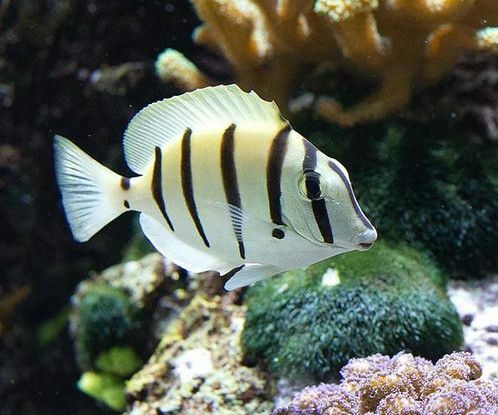 They can be fairly hardy once acclimated but will not do well in a tank that has not completed the aquarium nitrogen cycle.